One of the venomous snakes of Florida is the Cottonmouth, a close relative of the copperhead, also known as the water moccasin. 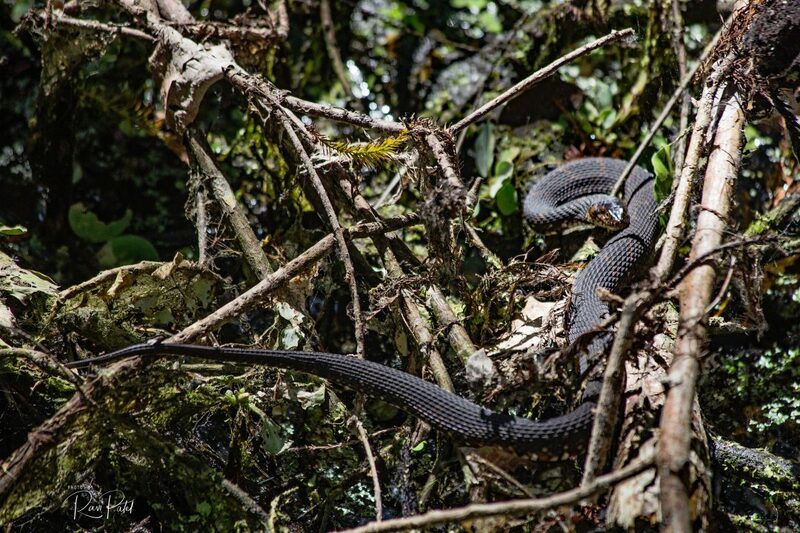 This entry was posted in Animals, Photography, Travel and tagged cottonmouth, Florida, snake. Bookmark the permalink. Yikes! Hope you were using your long range camera! 🙂 He is pretty tho! Safety first Ellen. Used a zoom lens. We have those here in Georgia, too. I do not like snakes! Don’t blame you. Snakes can be harmful.